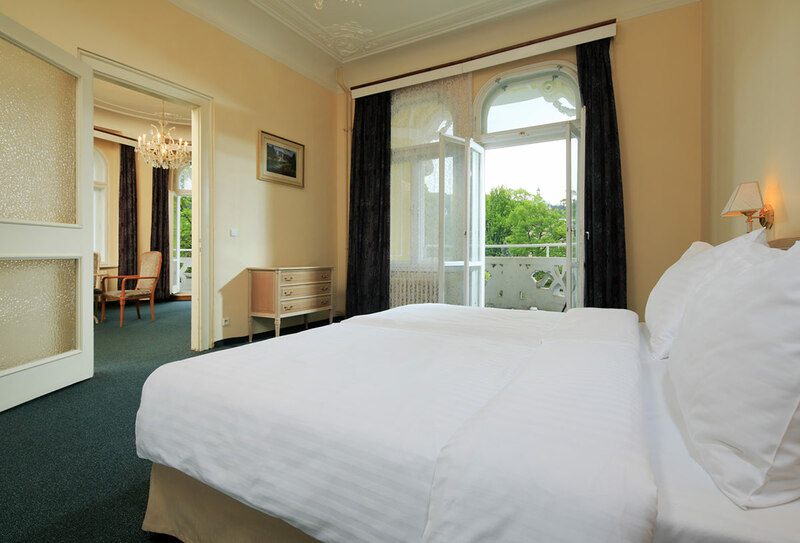 The Orea Spa Hotel Bohemia**** offers 76 comfortable rooms, with 142 beds in the Superior, DeLuxe and Suite categories. 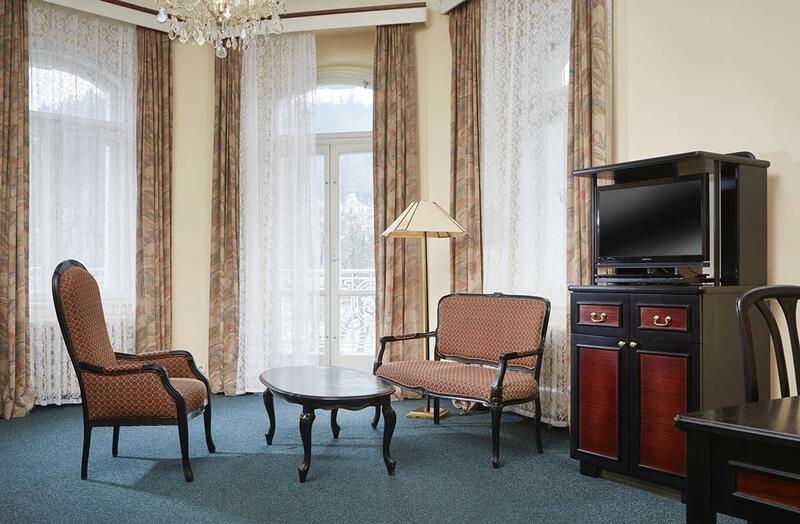 All rooms come standard with satellite TV, telephone, safe and minibar. Bathrooms are equipped with a shower or bath, toilet and hairdryer. Guests are provided with bathrobes throughout their stay. 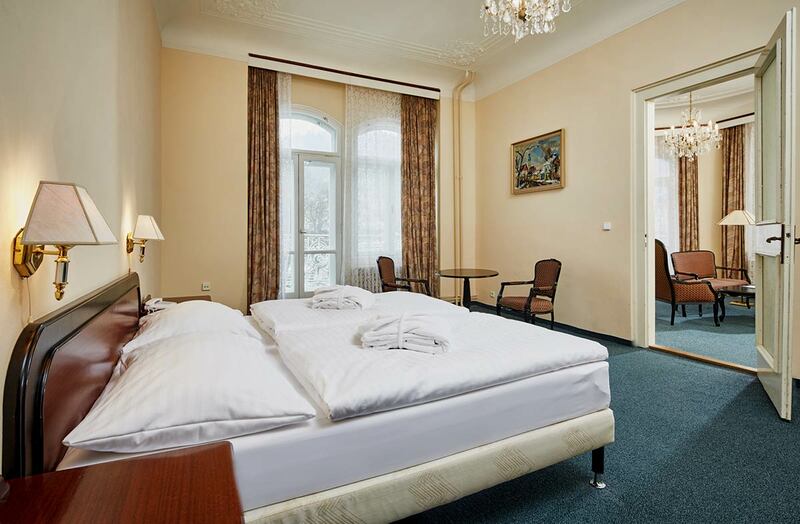 “Superior” rooms have a total living area of 15 – 25 m2. Standard equipment includes satellite TV, telephone, safe and minibar. The room has a bathroom with shower, toilet and hairdryer. Bathrobes are available at no charge throughout your stay. 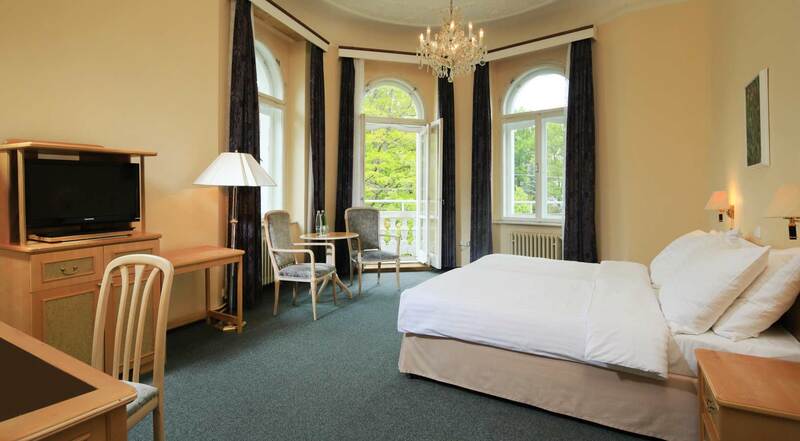 The 20 – 25 m2 rooms offer a magnificent view of the historical centre of Marianbad. 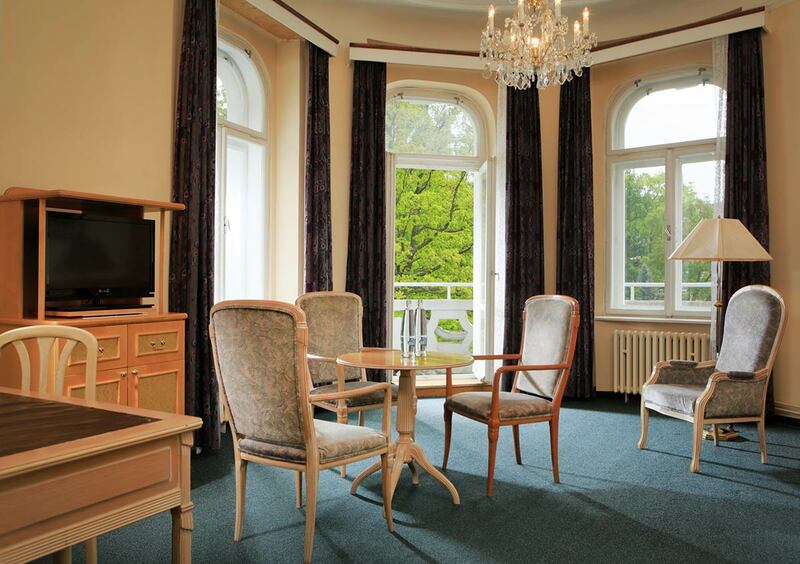 Tea and coffee sets, as well as free mineral water, are provided in the room. Standard equipment includes satellite TV, telephone, safe and minibar. The room has a bathroom with shower, toilet and hairdryer. You can also enjoy free entry to the sauna, which is available daily from 9:00 – 21:00. You will make good use of the bathrobe and slippers we provide at no charge for the duration of your stay. 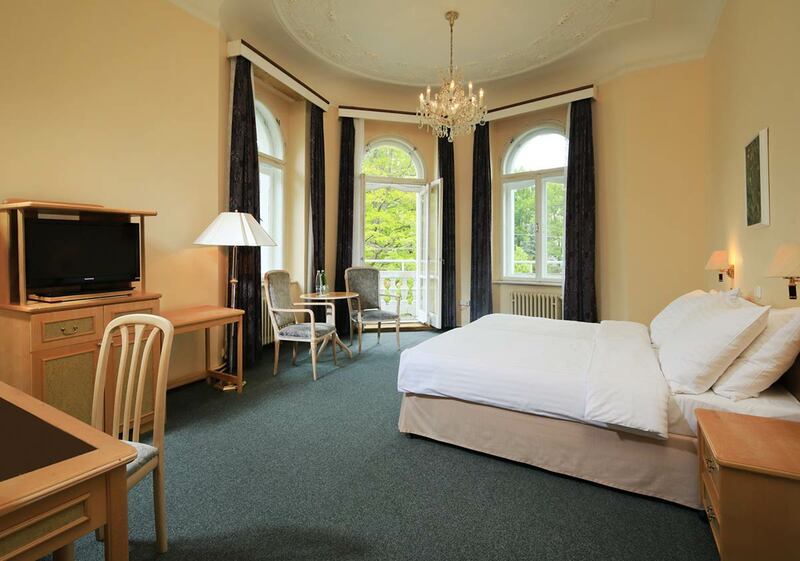 Rooms have 35 – 40 m2 of living area, which includes a bedroom, living room and balcony overlooking the centre of Marianbad. Standard equipment includes satellite TV, telephone, safe and minibar. The bathroom has a bathtub, toilet and hairdryer. An espresso machine, as well as free tea and coffee, are provided in the room. Upon arrival, you will receive mineral water. You have unlimited access to the sauna every day from 9:00 – 21:00. Bathrobes and slippers are provided at no charge during your stay.